The Earl is book one in the Devil's Duke series. This is my first Katharine Ashe novel and I loved how the author made the leading lady so feisty and spoke her mind. I can't wait to backtrack to book one and get up to date on the series. We start off with letters going back and forth between Colin Gray, the new Earl of Egremoor and Lady Justice aka Emily. 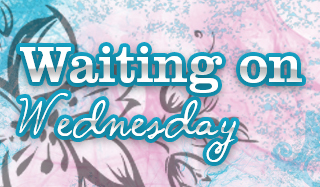 He isn't aware his childhood friend Emily is the mysterious and popular Lady Justice that has no qualms about writing about matters that trouble women and others alike. In an attempt to find out where her sister and sister's friend are, Lady Justice asks a favor from Colin but reneges on it when she receives a tip of the sister's location. She heads to follow the tip only to find none other than Colin Gray. They have some issues along their journey and must team up in attempts to get to their destination in one piece. That's what happens when someone is using Colin's title and wound up killing a local. Everyone is out to get them and no one believes their story so I was wondering if they'd be able to make it or if they'd get caught. The Earl was an adventure against the clock and I couldn't wait to to see how Colin would react when he found out his childhood friend Emily is really his rival Lady Justice. With tons of drama and no clue who they can trust along their way, the story kept my attention. I always love seeing strong leading ladies in Historical Romance but did notice she deferred to Colin's judgments quite a bit. I think I would have liked seeing her take charge a bit more since she was such a strong character. 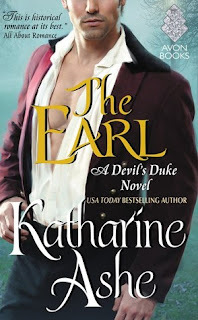 All in all, The Earl was a great read and I'd suggest it if you're a fan of females that aren't afraid to speak their mind in Historical Romances. This sounds like a great historical romance. I like that Emily wasn't afraid to speak her mind. Way too often in historical romances, the female is a meek lil thing that just kind of floats around in the book. oh I really can't wait to pick this book up!! I just love Ashe's work, and I highly recommend you try out her other titles too. Next time I see you I can give you the paperback :) I'll most definitely be checking out her other books! I like to have heroines like that! thanks for the review! I recently read a series where the women did things that were not really done in certain historical periods, but the author did make it work. It's nice when stories don't adhere to the traditional view of the times. I like feisty leading ladies and this book sounds like so much fun! Oh yea, I like those kind of females in my HR. In fact, I usually don't care for an HR unless it has at least one vexing female. :) Makes them sound more rebellious given the time period. I do think this books is something I would enjoy. I notice a lot of people are reading more HR and I've been wanting to get to one as well. Brilly review! Lady Justice, how cheeky! I bet the tension is so so good!